Do you know those annoying kids that always ask, "Why?" Well, that was me, except I really wanted to know EVERYTHING -- always. I needed to know how and why everything worked. It infuriated my elementary school teachers. And in addition to this, I wanted everyone else to know as well. Nothing could be taken at face value. People needed to make informed decisions. This was the mentality of 8-year-old Ryan. From this beginning, I chased chemistry -- through a BS, MS, and Ph.D. -- as it explained how the world worked to my always inquisitive mind. And alongside chemistry, I found and became utterly infatuated with the marriage of aesthetic and function via ceramics -- how an art can become completely utilitarian and useful. 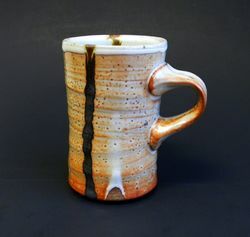 There is sooooo much chemistry in ceramic clay bodies and even more in glaze design and glaze formulation. From metal oxidation states, electron excitation and relaxation, d-orbital splitting (and f orbital splitting, ssshhhhh), opacifiers, vitrification, and variations in wavelength transmission for color, I'm hooked. Pottery is this beautiful, perfect blend of chemistry and art. I am hammering out glazes with various a rare earth metals -- for dichroic glaze effects. From blue to lavender to pink, the light source under which this glaze is held modifies the red and blue transmission bands in the glaze and thus the color we see. In the image above, you can see the two colors of the neodymium separate, as they are diffracted by a sealed glass window into separate blue and pink images. SCIENCE!! More can be read about the Alexandrite effect here. 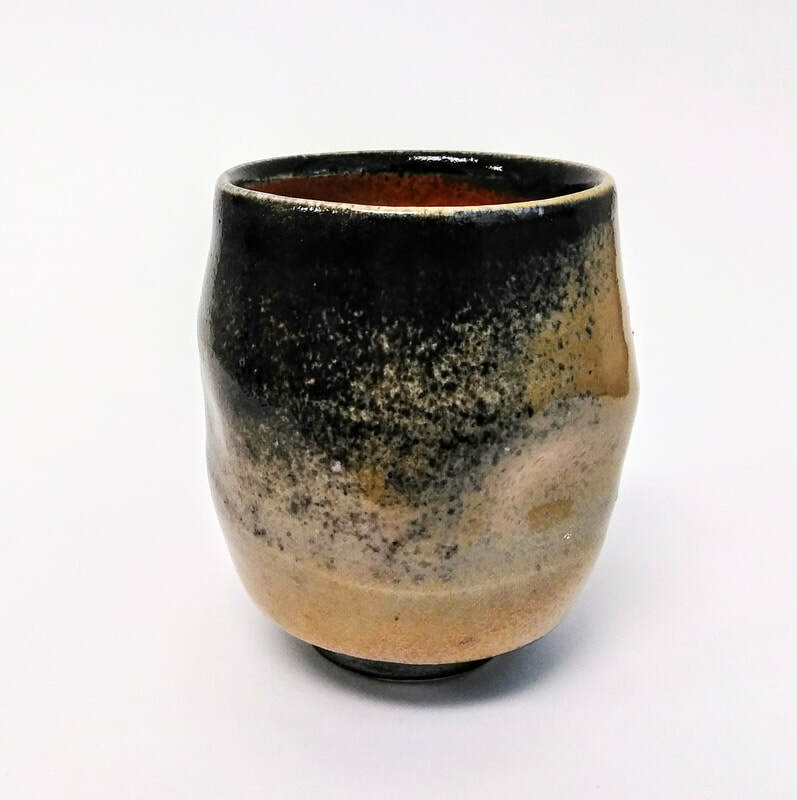 -After having taught a few advanced Japanese Ceramics classes, I have a chance to work out a handles workshop for the Visual Arts Center. -Am also stoked to currently have a deadline to write "The Secret Rules of Pottery Aesthetics" for the American Ceramic Society by the end of this year. -A Shino Mechanism article will come out in Ceramics Monthly parallel to 2018 NCECA, which will be my 8th article in just a few years. Weird.